When you hear "Steam Punk" do you say, "What??" or "Bring it on!!"? 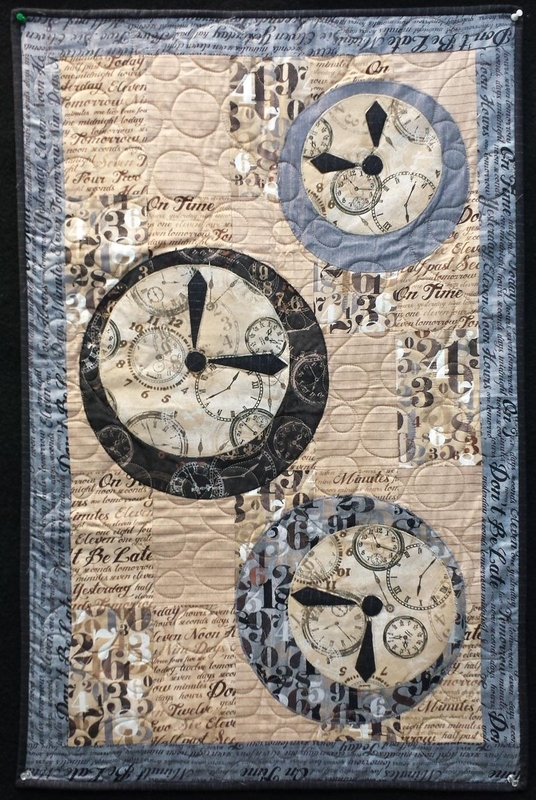 With a classic feature of "Steam Punk"—the clockface—as its main pattern, supported by number and word patterns as well as lush gray, charcoal and tan chalkstripes, this collection is here to satisfy your inner modern-Victorian just waiting to get out! Use this FREE pattern from It' Sew Emma (soon to be available for download on the Windham Fabrics website) or design your own. Show us what you make on the WF Flickr site. LOOK FOR "ON TIME" IN YOUR LQS NOVEMBER 2013.